The only thing that makes me happier than sunflowers is LAVENDER! Yes, the vineyards and grapes are spectacular. The fruit orchards and trees full of luscious, ripe peaches and plums are impressive. The sunflowers pointing their bright faces east are enchanting. 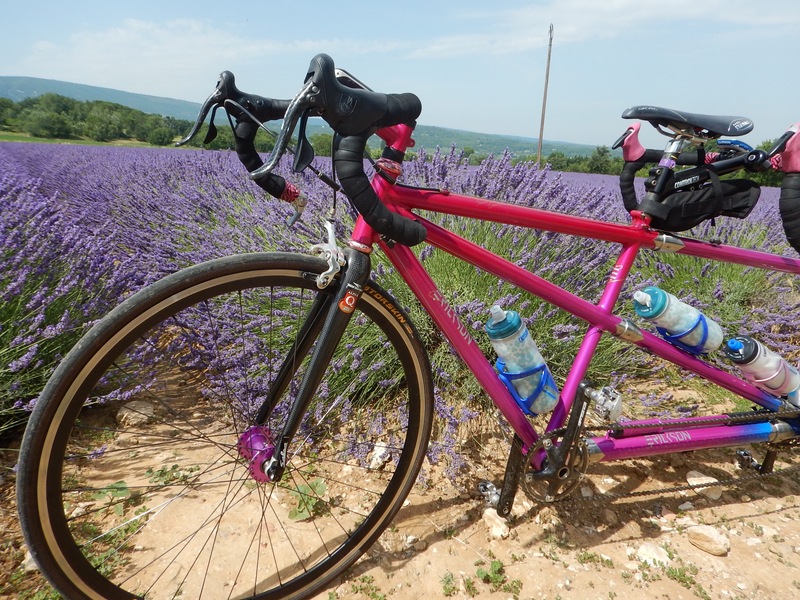 But ladies and gents, it’s all about the lavender! Clearly we have saved the best for last. Nothing can compare to the sight of fields at their peak bloom. You wonder how they can grow anything here. The soil is dry and full of rocks, and the temperatures are well into the nineties, but the plants seem to love it. If only you had the software with scent and sound like we do. 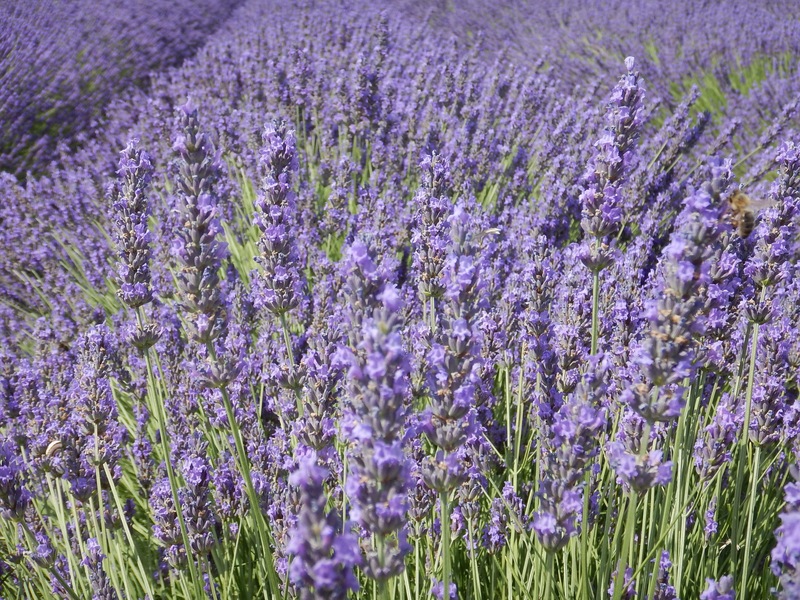 The aroma is strong and the bees are buzzing away in every plant. 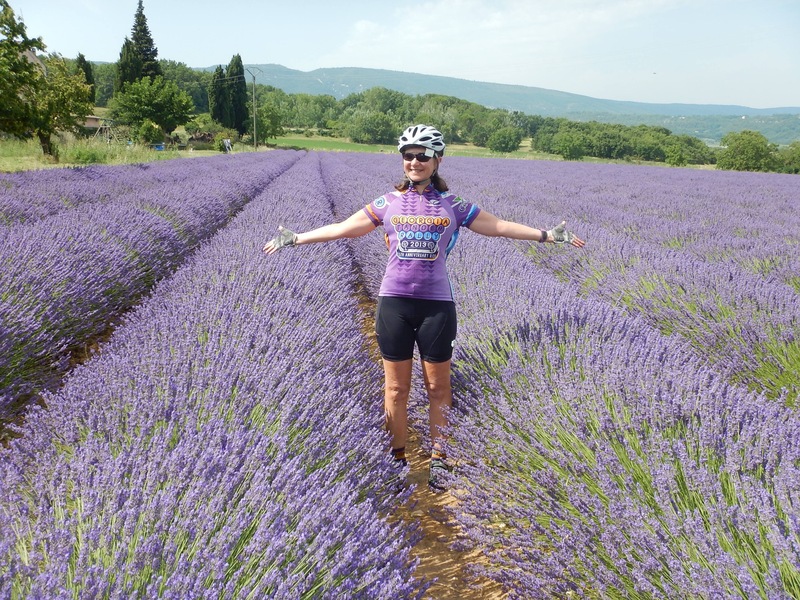 Obviously I am in a lavender stupor – and I hope I never have to come out of it! Coming up: a tour of villa #3. I wish I could generate that scent on demand. 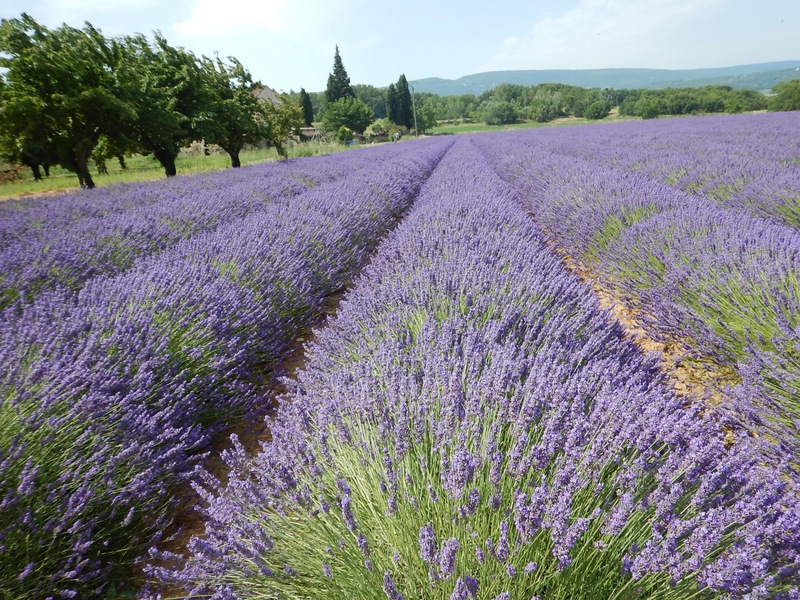 I will leave here and go straight to my bottle of lavender oil! 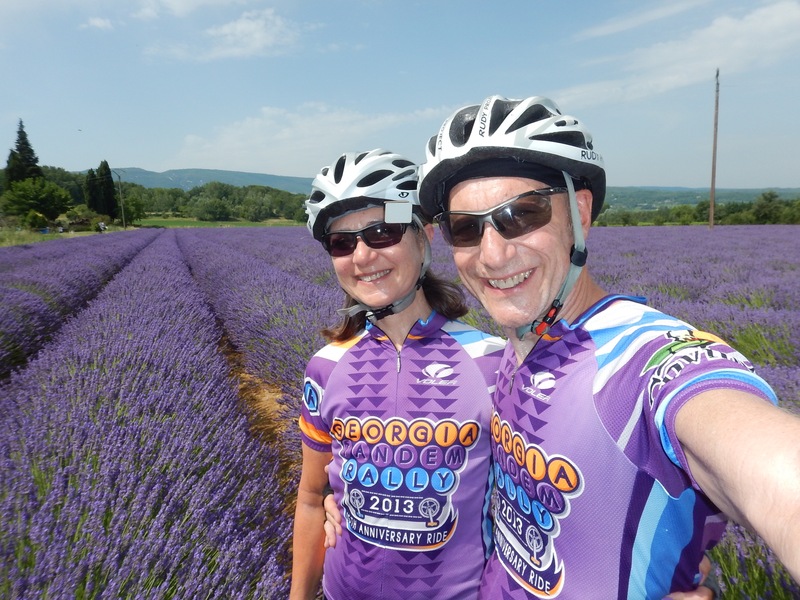 For me, the memory of our first bicycling trip to France is infused with the scent of lavender. That smell was the most profoundly impactful aspect of the trip. 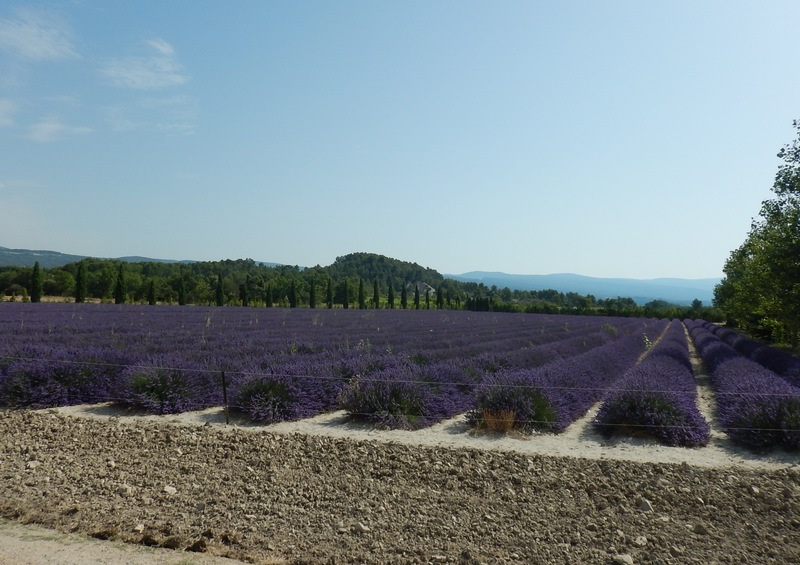 Recent journeys to Provence have been too early or too dry or too something to have the abundance of blossoms that cause the scent to fill the air as you ride. Your photos show you timed it perfectly! Be drunk on that smell for me too! Enjoy! How is your stupor doing?